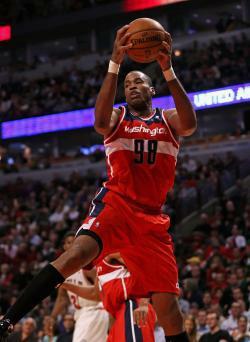 Jason Collins gay: He averaged one point per game this season. Does he have a future in the NBA? Jason Collins averaged one point per game this season. Does he have a future in the NBA? Jason Collins isn’t the first gay athlete. He’s not the first gay man in pro sports. He’s not even the first gay man in the NBA. But despite all the necessary caveats—he is, repeat after me, the first gay man to come out as an active player in the NBA, MLB, the NFL, or the NHL—Collins is no less a pioneer, and this is still a landmark day for sports and for gay rights. When Collins came out in Sports Illustrated, he made it much easier for other male athletes to do the same. Let’s hope that such an announcement doesn’t warrant major headlines a decade from now. If that does come to pass, a backup center out of Stanford will have been largely responsible for changing the culture. As the NBA offseason approaches, the league’s general managers will have to decide if they agree. Will a pro team think Collins still has something to offer? Will he get a chance to suit up as an out player, or will he lose his spot in the league before he gets a chance to make history? Collins lived up to that billing in D.C., playing in five of the Wizards’ remaining 29 games and scoring a total of four points. Over the entire season, he averaged 1.1 points per game. He doesn’t just look bad going by traditional numbers: The advanced stat PER ranked him the second-worst player in the league in 2012-2013 among those who played at least 150 minutes. Collins will also turn 35 this December. There were only 23 players that age and older in the NBA this season, and most of them—guys like Grant Hill, Jason Kidd, Steve Nash, Ray Allen, Kevin Garnett, Tim Duncan, and Paul Pierce—are a lot more famous than Jason Collins was before he hit the cover of Sports Illustrated. It would be unfair, then, to suggest that Collins’ future employment status will be a test of the NBA’s tolerance—it’s hard to get too worked up about the lack of roster spots available for old guys who can’t score. Even so, there will probably be a place for Collins in the NBA. Statistically speaking, a gay man isn’t all that unusual. What’s truly anomalous about Collins is that he’s 7 feet tall. In a 2011 SI story, Pablo S. Torre reported that there may be fewer than 70 American 7-footers between the ages 20 and 40. Torre also noted that there’s something like a 17 percent chance that an American who’s 7 feet or taller is an NBA player. Collins’ height, not his sexual orientation, is what will keep him employed. If the Stanford grad was known for anything prior to today, it was his ability as a “Dwight stopper.” In 23 regular-season matchups, Collins has held Dwight Howard below his career averages in points, rebounds, and field goal percentage. Collins’ defense also keyed the Atlanta Hawks’ victory over Howard’s Orlando Magic in the first round of the 2011 playoffs. When Collins was off the court in that series, the then-Orlando center scored 26.9 points and snared 13 rebounds per 36 minutes. When Collins was on the court, Howard put up a mere 16.1 points and 8.7 rebounds per 36 minutes. The irony is that Collins is coming out just as big men in the NBA are on their way out. With teams like the Miami Heat making small lineups trendy, a Howard stopper is a luxury that a lot of teams can afford not to have—Dwight Howard actually does a decent job at stopping himself these days. There should be a few franchises, though, that see Collins as the perfect man to fill out their last roster spot. He knows his role, and he won’t complain about a lack of playing time. He’ll also certainly draw in new fans while earning the veteran’s minimum salary. Collins’ bravery in coming out won’t be diminished if he never plays in the NBA again. But it would be good for the league, and for aspiring players both gay and straight, to see him take the floor, even if it is just to get a few stops while a better player rests. No matter how unimpressive his scoring numbers may be, nobody can doubt now that Collins has courage. Who wouldn’t want a teammate like that?